Driver Hire is the UK’s largest specialist logistics recruiter, supplying customers nationwide. It offers temporary and permanent driving jobs, non-driving work and Driver CPC training. 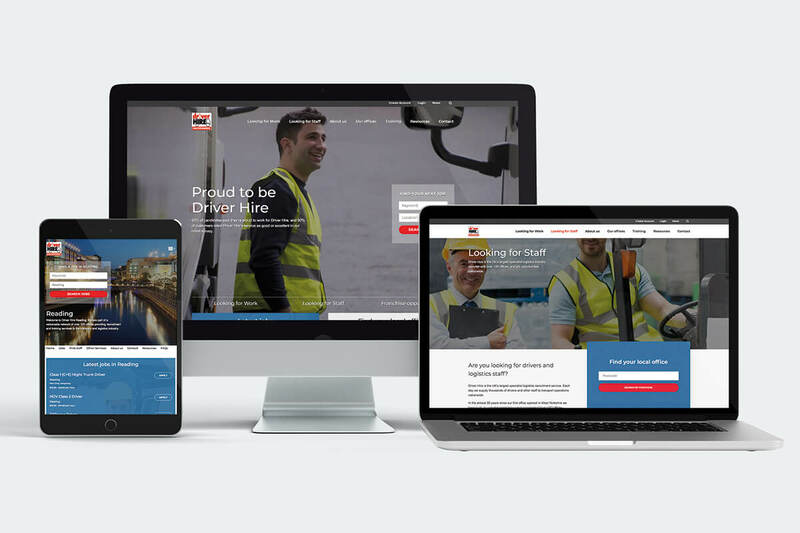 Wave designed and built a bespoke website to be Driver Hire’s online face and a platform for their vast job offering, as well as providing more than 100 offices throughout the UK with individual microsites that could showcase each franchise offering. With a website of this size Wave’s main objective was to create an optimised user journey, both for candidates, clients and potential new franchisees, where no matter what your objective was on the website you could always find the correct information. We also gave each office a sense of individuality, by providing them with customisable microsites where they could showcase their own job offering. Another key task was to make sure we were adhering to web best practices whilst developing the website. Given its size, speed and performance, optimisation was key to delivering a good user experience.